Festivals! Backpacks! Birthdays! Farewells! Picnic! 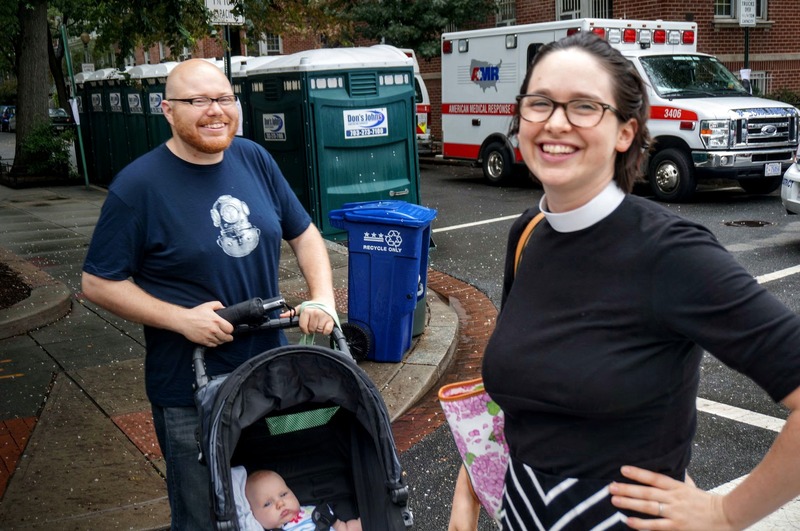 The weekend of September 12 and 13, 2015 was very big at St. Thomas’ Parish. A seemingly record crowd joined us for a “welcome back” gathering after summer holidays and travel. Our Rector, Nancy Lee, returned after a well-deserved August vacation. 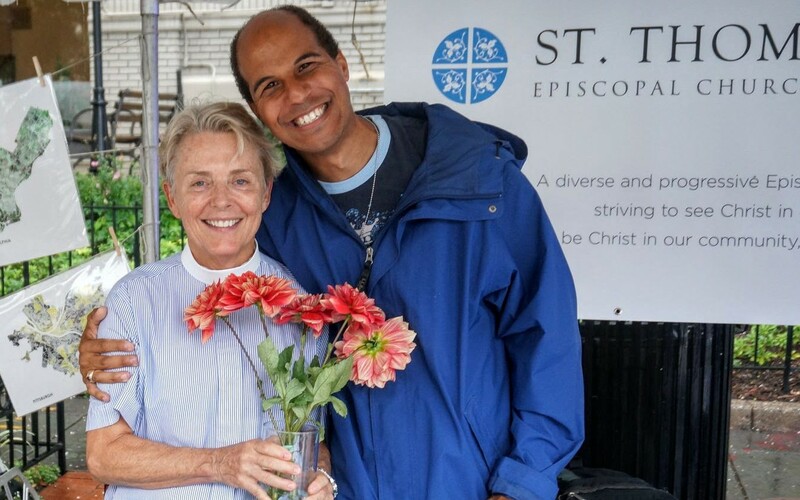 St. Thomas’ had a wonderful booth at the 17th Street Festival for our second year! The 17th Street festival is a community event celebrating the 17th Street Corridor from Riggs Place to P Street. This has been a fantastic opportunity to be a visible presence in our neighborhood community. The Festival took place on Saturday September 12 from 12:00-6:00pm. 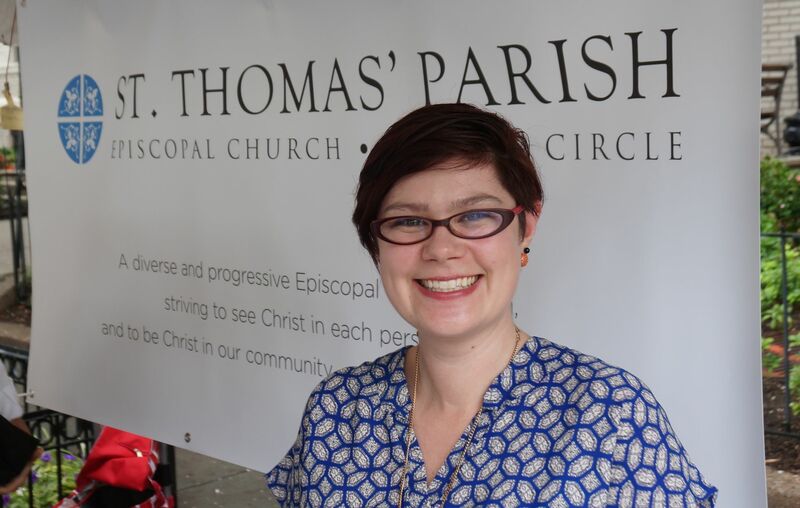 Volunteers served 2 hour shifts under the excellent direction of Catherine Manhardt. Wow! Listen to the big choir! 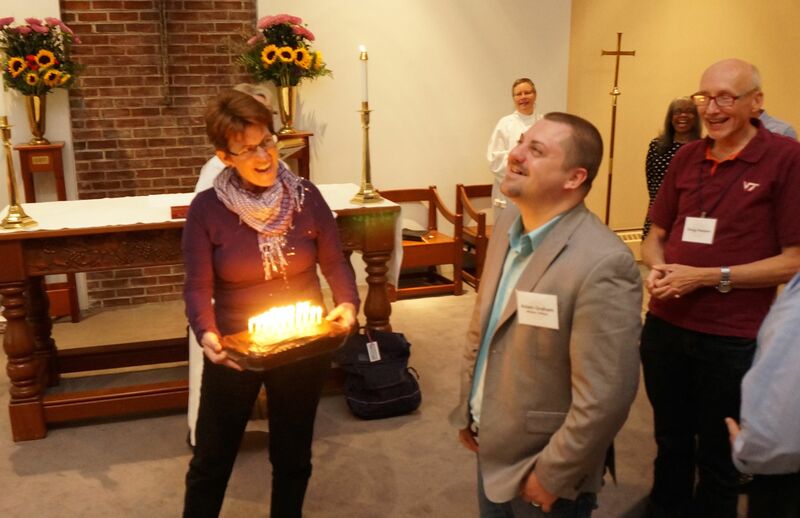 We celebrated Adam Graham’s birthday with cake and song – and then with listening to our wonderfully expanded choir! 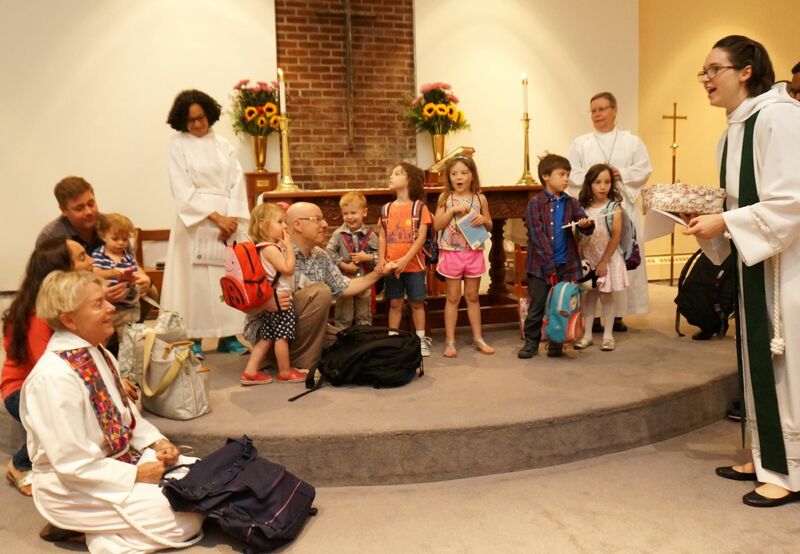 On September 13th, we kicked off our Children’s Ministry Fall Program with a blessing of backpacks — including diaper bags and briefcases! We also collected back-to-school supplies for an extra special backpack that we’re donating to the Samaritan Ministry. More than 100 celebrated our “welcome back” with a wonderful picnic – dancing, smashing a piñata, meeting new babies, seeing how much our young worshipers have grown, and enjoying the company of folks we may not have seen since summer began.